What kind of city do you want to live in? The Greener Birmingham Coalition are asking people this through their ‘Big Green Conversation’, which was launched last week at the Council House. 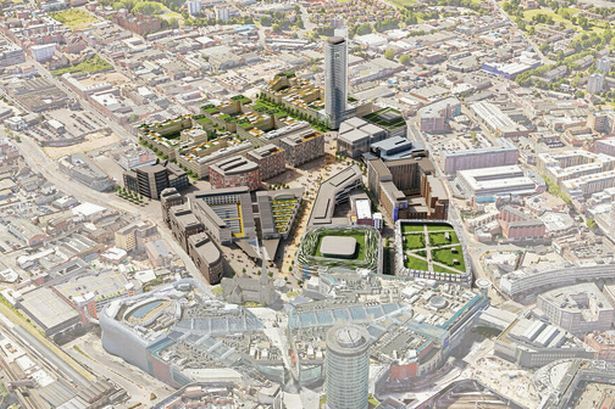 The Coalition, made up of nearly 30 local environmental organisations, wants people in Birmingham to help to shape future developments and initiatives, such as new housing, HS2, the Commonwealth Games, and the Paradise and Smithfield schemes. This is in response to the Government designating 2019 as the ‘Year of Green Action’. The idea is that people of all backgrounds will be inspired, mobilised and supported to take action to improve the environment. To turn this into reality here in Birmingham, the Coalition is encouraging people, communities and businesses throughout the City to get together and come up with their own ideas about how their environment can be improved through both existing and new developments. An example is the ongoing campaign for a proper city-centre park to be part of the Smithfield project. The context for this is the need to provide housing, jobs and infrastructure for a predicted 150,000 extra people and 80,000 vehicles over the next ten years. Even if every car, bus and truck could become non-polluting overnight there would still be gridlock caused by the extra traffic. Then there is the issue of protecting, managing and improving Birmingham’s hundreds of parks and open spaces at a time of reduced budgets and staff. Believing that It is important that everyone’s voice is heard, the Coalition wants the Big Green Conversation to help to create a ‘People&apos;s Charter for the Environment’. From now to September they are asking people to get together to discuss the issues and complete the survey on their website. Then they will analyse the results and plan to produce the charter in November.